Muslim apologists claim that the Bible was not completed until hundreds of years after the Lord Jesus, and that it was the Apostle Paul who somehow wrenched the Gospel from His first disciples, hijacked Christianity and began teaching that Jesus was God. Others claim that the deity of Christ was not taught by the church until the Council of Nicea in 325AD. Seen in the photo below is more proof from archaeology that Jesus was in fact worshiped as God by His earliest followers, just as the Bible tells us He was. 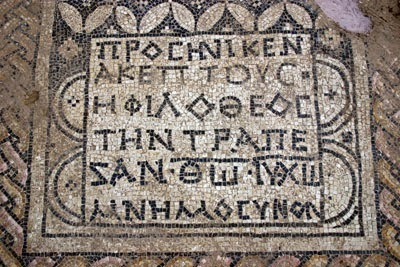 In the photo is a section of a mosaic floor in what is probably the earliest Christian church ever discovered in Israel to date. The find was made by accident in the late '90s. The table referred to was likely donated to the church by a woman called Akeptous. "The words 'God Jesus Christ' on the next-to-last line are abbreviated in the form of a contraction consisting of the first and last letters of the two words. Above the two sacred words is a straight line. 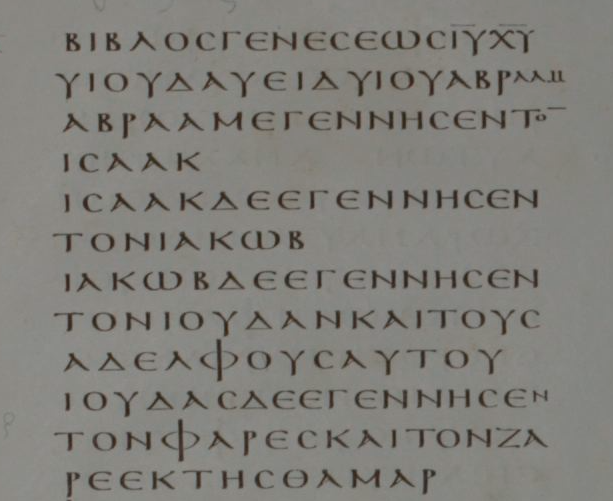 While these abbreviations and the line above indicating sacred words was later a common practice, this is their earliest attestation. 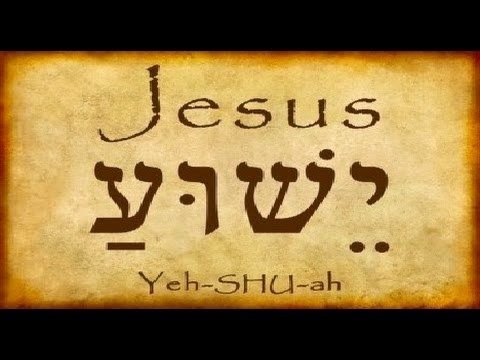 And this is the earliest inscription ever found in Israel, and perhaps anywhere, that mentions Jesus Christ!" 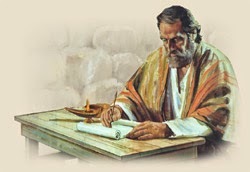 The phrase "God Jesus Christ" is the same phrase used by early Church Father, Ignatius (ca. 30-107 A.D), bishop of Antioch.